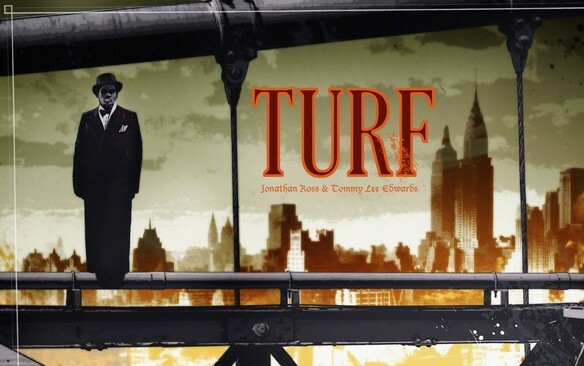 Jonathan Ross's 'Turf' To Become A Movie? "My love affair with comics is more important to me than my love of films, or my work in TV, or just about anything outside my family. You're hardwired for it, if you fall in love with comics when you're 11. "And I think if there's one good thing I can maybe achieve with - with 'my celebrity' - it's to try to broaden the horizons and widen the readership of this particular entertainment which I adore and which is somewhat belittled and denigrated and ignored. I just want to see comics getting a fair critical chance." For people in London looking to pick up a copy of issue one, Wossy and Tommy Lee Edwards will be signing Turf at the Forbidden Planet Megastore (179 Shaftesbury Avenue, London WC2H 8JR) from 6:00 – 7:00pm, Weds 14t April.